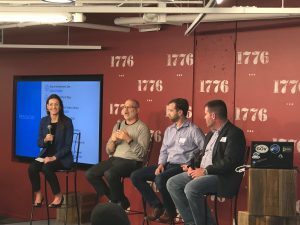 I recently had the opportunity to host a dynamic discussion among leading IT security and compliance experts at our latest Microsoft Azure Government DC Meetup, Future of Gov Security – Automated ATOs, Revamped TIC and Beyond, at 1776 in Crystal City, Virginia. 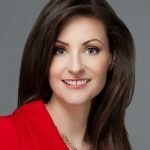 With government accelerating its IT modernization efforts, the focus on strengthening security remains top of mind for agencies as they work to realize the benefits of cloud and increase their agility. 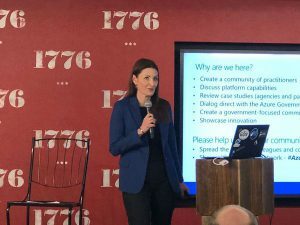 This was highly evident as our speakers and more than 80 members of the Microsoft Azure Government DC user community explored a range of perspectives on security in government, both current state and where we’re headed. 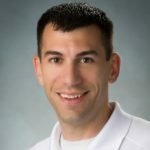 Mark Cohn, CTO of Unisys Federal, kicked off the evening with his perspectives on the definition and evolution of security for federal agencies, including IT modernization and its impacts on society. Mark set the stage for an engaging discussion. I encourage you to watch the Meetup replay videos on the Microsoft Azure Government Meetup Channel (and, be sure to subscribe to our channel for the latest videos!). Meanwhile, I invite you to RSVP and join us at the next Microsoft Azure Government DC Meetup, Cloud DemoPalooza – Gov Style, on Wednesday, Sept. 26 from 6 – 8:30 p.m., at 1776 in Washington, DC. If you’re not in the DC metro area, please join us via livestream starting at 6:35 p.m. at https://aka.ms/azuregovmeetuplive, and engage in the conversation at #AzureGovMeetup.